I’ve had reason to contemplate my hometown of Perth anew of late. My husband took the big step this week of becoming an Australian citizen, which reminded me of how brave he was to move from Germany to Perth seven years ago without ever having set foot in the southern hemisphere. And his 25-year-old nephew is visiting us from Switzerland for a couple of months at the moment, so I’m watching him discover Perth from his perspective. I was born in Perth and lived here until I was 25, then returned in my 30s. It has changed a huge amount; I remember very well in my childhood that the brown AMP building you can see in this photo was the tallest one by far, but these days it’s a dwarf. I will make myself sound ancient if I go on and on about all the stuff that has changed, so I won’t, but Perth has certainly grown up. But some things will never change, and this is one of the most frustrating parts of living here: it is crazy far from everywhere. 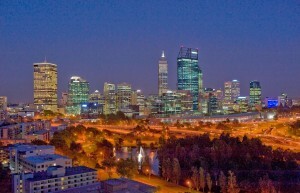 In fact, Perth has the reputation of being the most isolated city in the world. Obviously there is no precise way to define this, but even those who would want to argue about it would surely agree that Perth is extremely isolated. It’s a biggish city (nearly up to 2 million people now) and to get to another biggish city you need to fly for over three hours. Driving to another capital city takes days. And in between, there’s desert. Lots of it. It’s a double-edged sword I suppose. For me, a travel lover, living here means that pretty much wherever else in the the world I want to go, it takes a lot of hours and a lot of dollars to get there. One of our nearest destinations, Bali, takes about three-and-a-half hours. When I lived in Germany, I could have flown anywhere in Europe, and lots of places in Africa, in a shorter time than that (not to mention most of the way to New York). 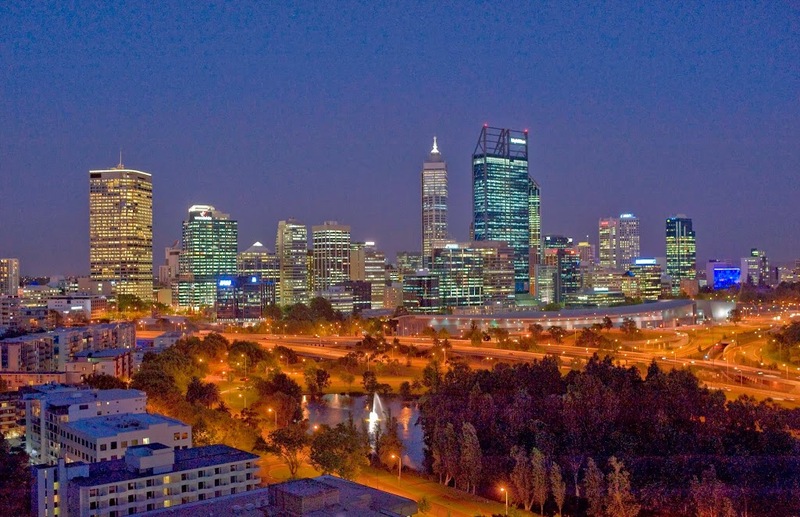 But I think that being so isolated has also made Perth into the kind of city it is. It’s pretty relaxed; it’s mostly friendly. We don’t really expect anyone to come and see us and are pleasantly surprised when they do. It’s a pretty rich city thanks to the mines scattered across the state, and if we had that kind of wealth without the isolation, I reckon it could get way too snobby. 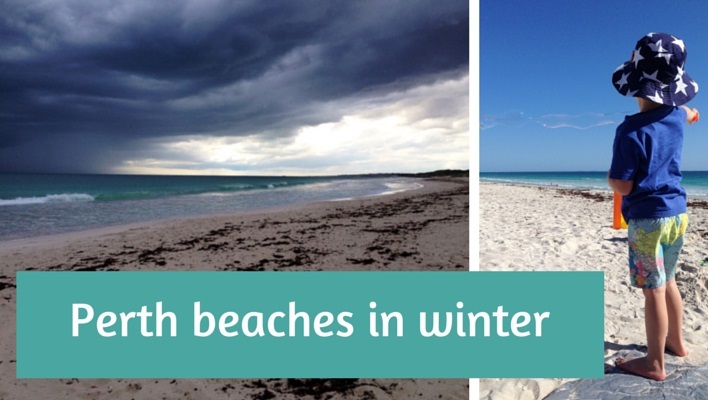 Being a travel blogger who’s based in Perth is really not an ideal combination. But there’s that sword again: it’s one of the reasons why my blog is focused more on why people should travel and what kind of life lessons you can learn from travelling. If I was still living in the middle of Europe this would probably be just another destination blog, but I much rather this waffly, philosophical version. People make up a city, and your city makes your person, to some extent, as well. Even though you might sometimes hear me say that I wish I lived closer to the rest of the world, I probably don’t really mean it. I’ll try and stop saying it, I think! Has your hometown made you who you are? Would you change it, or swap it? Let me know in the comments. The inside story on thoughtful travel, straight to your inbox every month. I have been thinking about cities lately too, I have some seriously itchy feet. Maybe I should check out Perth- it’s 4hrs closer to Europe and Africa at least! Haha that’s a good point Andrea – we are closer to *some* things than the eastern states but you guys can just pop around to other cities on the east coast whenever you feel like it! 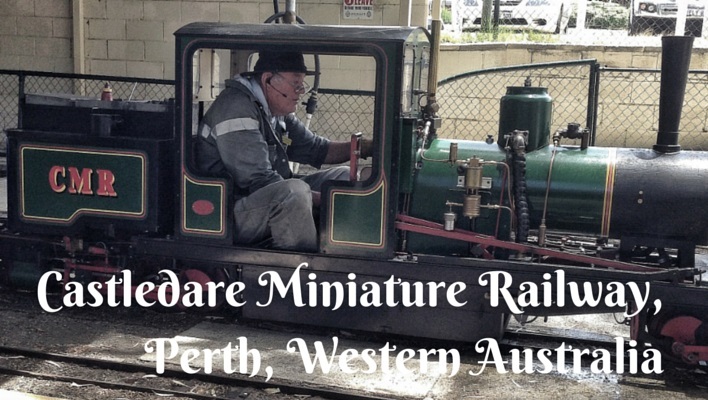 And yes – come and check out Perth – let me know if you do! Lovely post, Amanda. Isolation can be a pain, but it has its upside. With the beaches and climate here in WA, if we were any less isolated, we’d have become Queensland. I think similarly about Tassie, being an island and also being cold, yet it has the most beautiful mountains and pristine coastline. If it were warm, it too would have become Queensland. Oh, and I enjoy philosophical posts better than the straight ones anyway! Thanks Louise! Ooh yes – we’d have high rise hotels all along the coast – how awful! Excellent point about Tassie, too. Exactly Sami … pros and cons … until they make flying faster at least! Hi Amanda, love the post! 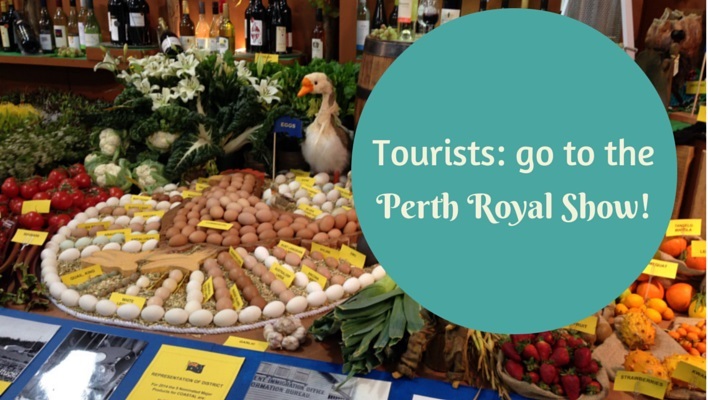 It kind of summarises what we all think of Perth! You know what my biggest culture shock was when I moved to Perth from Russia 14 years ago? Where are PEOPLE? I moved to the city of CARS? In Europe people prefer public transport which is reliable, cheap and can get you everywhere! Also every 6 months or so I get really claustrophobic and need to at least go for a long drive to the nearest small town! Oh yes, so true, very much a city of cars, it drives me crazy! I loved living in Europe where you could get around to pretty much anywhere much more easily. And that it was normal. I have friends who haven’t taken a bus or train in decades here – insane! Ooh I love that we are “pricelessly interesting”, that’s brilliant Jo!! Glad you enjoyed the post. For me living in Perth made my first ever backpacking trip to Europe really something special. I was a big reader in my teenage years and very interested in history, so it was amazing to visit all those places that had featured in books I’d read and it absolutely blew my mind how old everything was. Haha that’s so funny to think of the AMP building the tallest in the city… can hardly imagine that. I remember when I was little being proud to share my name with the tallest bulding of all – the Bond Tower (now bankwest), which I thought was called the “Bon” Tower. Lovely to “meet” you Bonny! So true – we really appreciate all those old buildings in Europe when we grow up here. And I had a giggle about the “Bon” Tower! Great post Amanda! I’m coming back to Perth in January after 9 months in Europe. I definitely understand the isolation since I’ve been away and I will miss taking a train and passing through 3 countries in one day! I loved the blog. congratulations! I live in Sydney but I love Perth (my boyfriend is from Freo) and I actually love the fact that it is so isolated. I once watched a documentary called “It must be in the water” about Perth bands (I love Perth bands) and someone actually said that the reason why there are so many good bands from Perth is because they were so isolated that they didn’t have anything else to do apart from jamming with the friends. I loved it. Thanks Ana, I love the theory about all the good bands – I will remember that and think more fondly of my poor isolated home town … ! 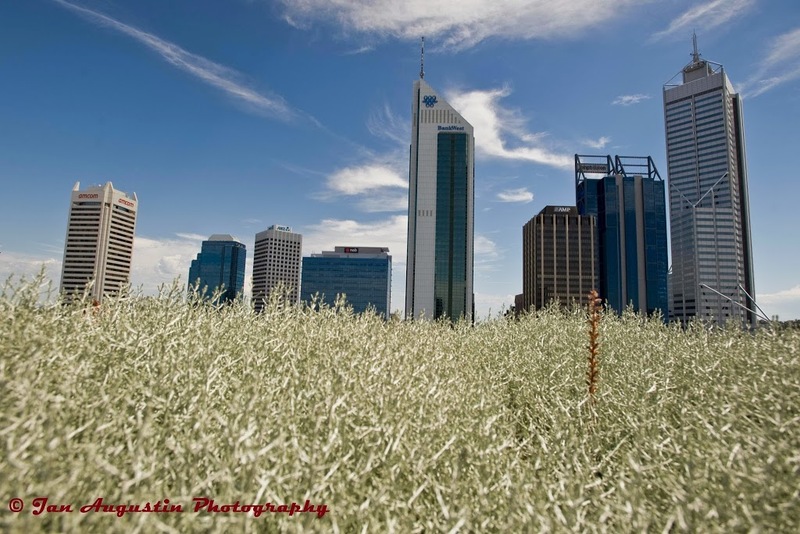 Last time we were in Perth was 2006 and… soooo much has changed, we couldn´t believe it. To imagine AMP was the tallest… near to impossible! I left my hometown as soon as I could, btw and my chosen hometown changed me, I guess. I love this city of mine by heart. Hello Iris und herzlich wilkommen! Glad you enjoyed Perth. But of course nobody wishes for 44C! Hope you return one day. I love Europe, especially Italy, with its art, history, culture, beautiful landscapes and buildings. But it is always great to come home to Perth. After a recent trip to Italy we went out for dinner, deciding to walk. We hardly saw anyone in the two Kms we walked. So different from Florence! I miss walking or catching busses and trains to my destinations, turning instead to the car! Oh yes that’s so true Maureen – nobody walks anywhere here! With my son just starting school I walk him each school day and walk back to get him too, we live about 1km from the school so it’s a decent walk for a 3-year-old, but nearly all the families who live closer to the school drive every day – what a shame!